It’s easier than ever to get content from your local library. Apart from the general free-ness of the service, many resources let people stream and download content electronically. But for many of the roughly 5.7 million people in America living with Alzheimer’s or dementia, the simplicity of that access can feel like a world away. That’s why the Monroe County Public Library has been taking big steps toward making itself as accessible as possible to people with Alzheimer’s and dementia. And in doing so, MCPL has earned a new, more involved level of certification. Jackson works primarily on the library’s outreach services like the Bookmobile, the Library Van Service and the Homebound Service. He said his time spent expanding those programs has shown him just how vital this need for accessibility is. 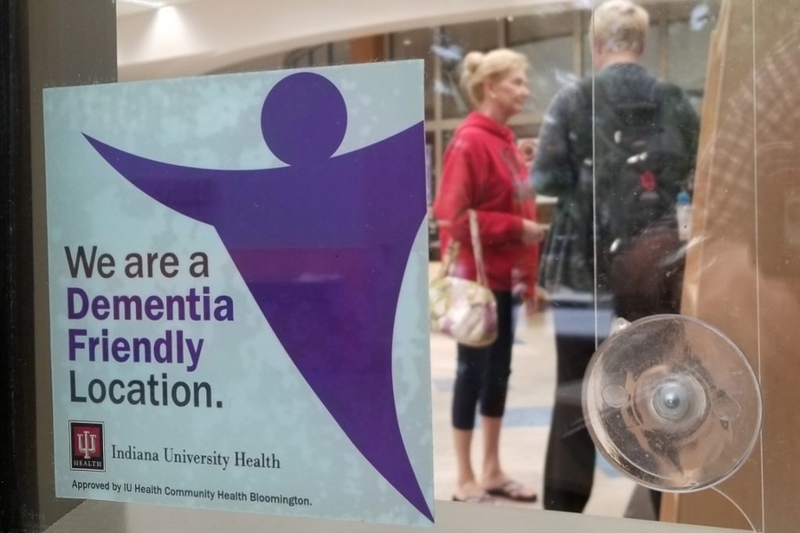 Jackson and MCPL got in touch with Indiana University Health’s Alzheimer’s Resource Service, which offers free resources and education to 11 counties in south central Indiana to make businesses more welcoming to those with the disease. Through ARS’s one-hour training seminar, staff at MCPL learned about the best practices and communication for dealing with situations people with Alzheimer’s and dementia often face. “The Level I certification can be obtained by any organization,” said Dayna Thompson, Alzheimer’s educator for the Alzheimer’s Resource Service. “A trainer comes to you and provides education on dementia, how to communicate and some environmental factors to be aware of." But, Jackson said, there was more they could be doing. “We got high marks in a lot of areas, in terms of having friendly staff and a generally accessible and approachable building. But there were some things we learned we could be doing better,” he said. That’s when Jackson learned that ARS was looking to launch a more involved type of certification. As part of a pilot program for Level II Dementia Friendly status, MCPL brought in someone with dementia to walk through the building and note small but crucial issues that might cause them problems down the road. At the start of the walk through, the business is given a survey with a list of items and features necessary to be Level II-certified. If they are found at the end of the walkthrough to have 80 percent of those items, they reach Level II. 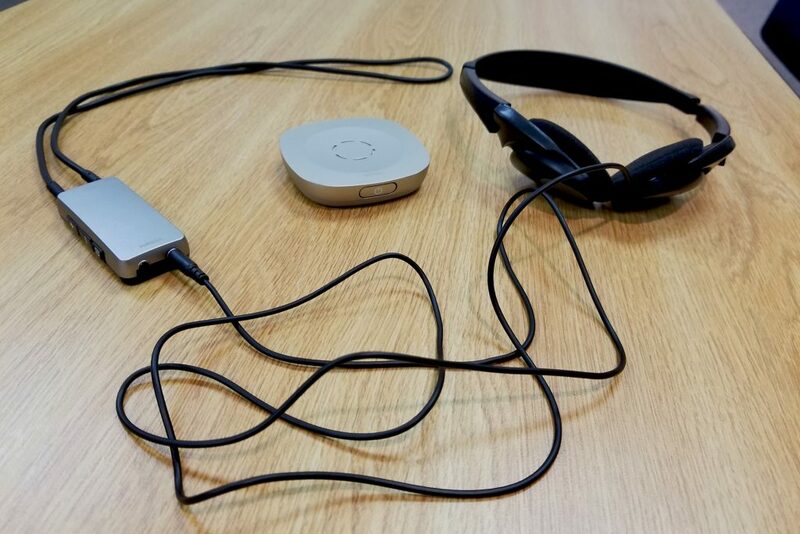 Apart from updated signage and simplified layouts, the library now offers new programs and even technology designed to appeal to people with Alzheimer’s and dementia. Musical Memories is an event series that invites people with Alzheimer’s and dementia to enjoy music from years past and from artists like Cole Porter and Hoagy Carmichael. 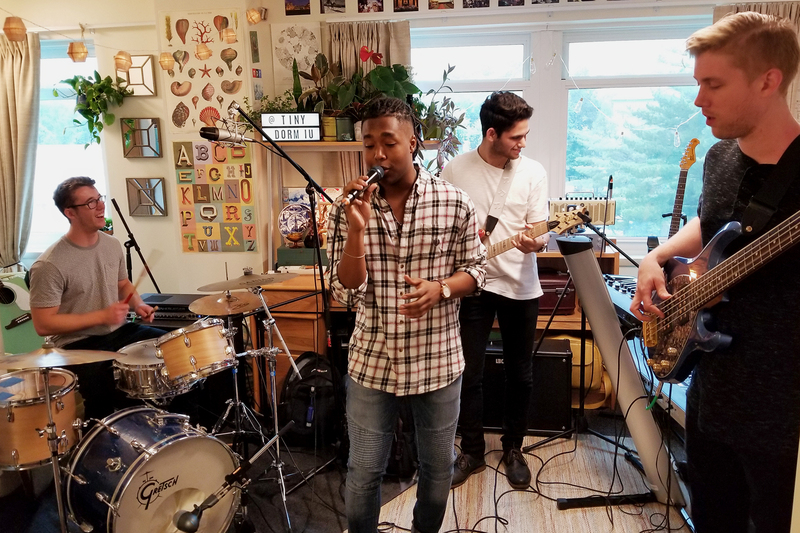 “Music touches our brains in a way that’s very emotional, and that connection can last even when other parts of the brain have been degraded by the disease,” Jackson said. It’s important to note that the library isn’t trying to help only those with Alzheimer’s and dementia. Caring for family, friends and loved ones with these diseases is often a monumental, thankless task; with over 16 million Americans providing unpaid care for people with Alzheimer’s and dementia, MCPL wants to do what it can to ease that burden. “Caregiving is often a very lonely endeavor that takes a lot of time and a lot of money. 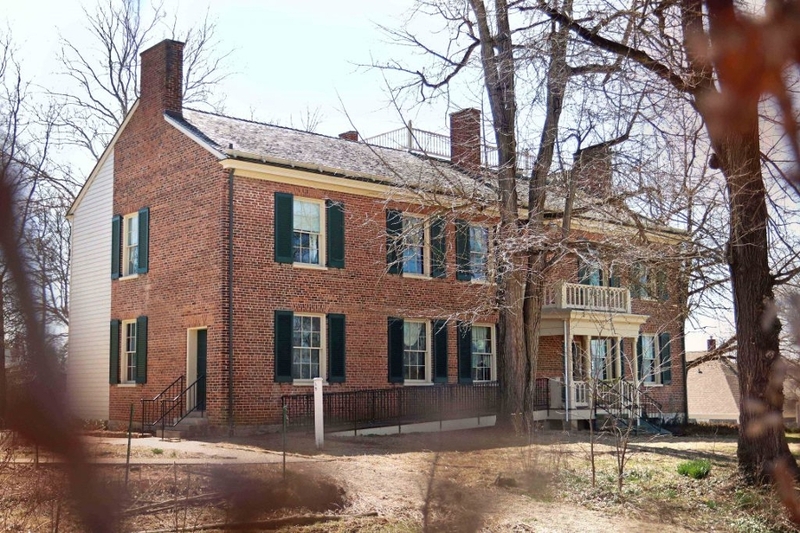 Many people aren’t really prepared for it,” Jackson said. The library wants to make that task a bit less daunting with Caregiver University, a monthly program where experts discuss issues pertinent to caregiving. Classes are themed closely to dementia and Alzheimer’s care, but not exclusively; there’s also talk about legal issues that may pop up, navigating assisted living and everyday tasks like helping a patient’s mobility. Jackson says other business taking part in the free, one-hour training session for Level I status is a no-brainer. Doing so gets said business a sticker identifying it as Dementia Friendly, which Jackson says gives customers with Alzheimer’s and dementia and their caregivers confidence that they’ll be taken care of. While ARS currently has only two levels of certification, Thompson says accessibility for people with Alzheimer’s and dementia looks different from place to place. Even before a business earns official certification, Thompson says, becoming more welcoming to people with dementia is as simple as slowing down and taking time to communicate. 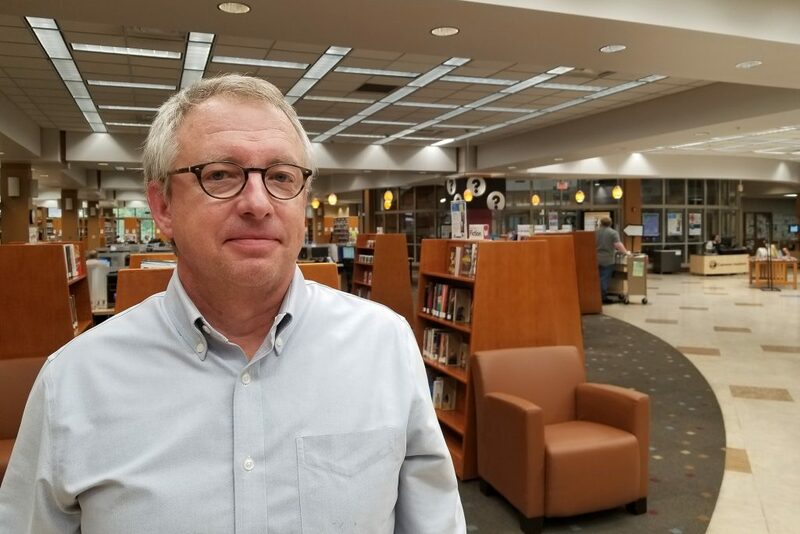 And as the Monroe County Public Library continues to expand its accessibility efforts, Jackson says they’re constantly looking for feedback and ways to improve even more. “We are going to do our very best to work out a solution for whatever it’s going to take to have you included,” he said. If you and your organization are interested in becoming certified as Dementia Friendly, you can visit the Alzheimer’s Resource Service’s website.